Want Your Speakers To Be Light As Air? Well, Om/One Is Making That Possible! There are many wireless speakers on the market these days. They’re loud. They’re waterproof. They’re portable. 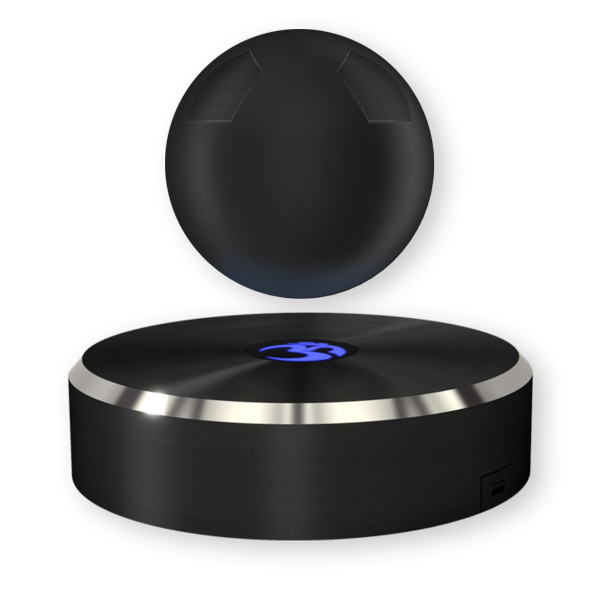 But Om/One has gone beyond it’s predecessors as the first levitating speaker on the market. Yes, you read that right, levitating. This product not only looks cool but contain the features you’d expect without losing its style. Om/One’s Bluetooth technology works with devices from 33 feet away, a microphone for pristine speaker phone audio and the same portability as gravity bound speakers. So if you’re looking for a new, awesome way to enjoy music, check out Om/One today! No More Messy Cords Or Batteries, Light The Room With Water! Ever have the stress of not enough outlets? 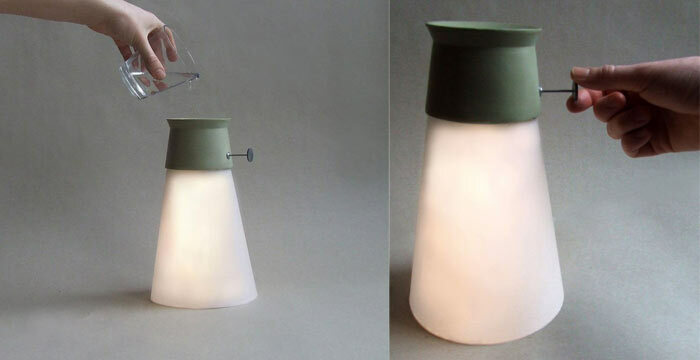 Wish that a battery powered lamp lasted for much longer? Sick of replacing bulbs, batteries and wires? Well, WAT’s LED Cordless Lamp Powered By Water is here to solve just those problems. The technology of a hydroelectric battery and some simple tap water makes this lighting revolutionary and no doubt will become a staple in many homes. Attractive, innovative and resourceful, WAT’s LED Cordless Lamp is definitely worth a second look. We’ve all seen the movies where it only takes a scan of the eyeball or touch of a finger to unlock a door to a secret lair. Well, how would you like to bring a little movie magic to your life? Introducing the Ola Fingerprint Smart Lock. 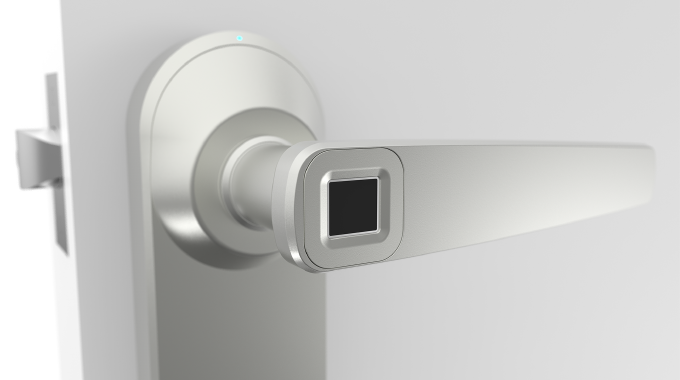 With a touch of a fingertip and the longest battery life of any Smart Lock on the market, it will revolutionize the way you get into your home in under one second. Currently, Ola Fingerprint Smart Lock is a Kickstarter campaign, but with the proper funding, this phone-less, key-less innovation will bring ease and security to your home. Check Out This Video For A Sneak Peek Of Technology On The Horizon! With desktops becoming more and more obsolete, tech companies are continually looking to new platforms to make touchscreen devices more efficient for both personal and business use. Many have developed keyboards for tablets, smart phones and the like, but none have perfected using a keyboard across multiple platforms the way Logitech’s Bluetooth K480 model has endeavored to. 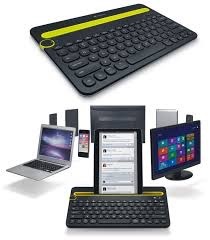 This keyboard not only works on different types of devices, but is compatible with other Apple and Android models. Other features include an easy dial to switch between devices and a cradle for both smartphone and tablet. For just under $50, the convenience can’t be beat!